When classroom tasks get a little too difficult, it’s common for teachers to hear “I can’t do this” from their students. Most at-risk kids have some self-defeating behaviors, including those that result in personal failure, and even students who don’t face extra challenges in the classroom get frustrated. Helping students push past their self-perceived limitations results in the beginnings of success. This leads into a success building upon success behavioral cycle. In order to get students going in the right direction when they face a problem they feel they can’t handle, try the following strategies. Help students focus on “I can’t do this . 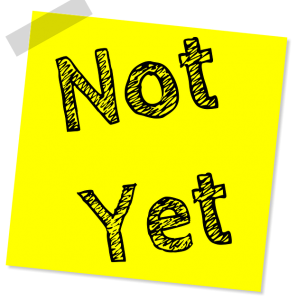 . . YET.” By asking learners to add ‘yet’ to the end of their ‘I can’t do this’ comments, possibilities are opened up for success in future attempts and iterations. It changes their fixed or failure mindsets to growth and possibility ones. Teach students strategies for dealing with frustration. 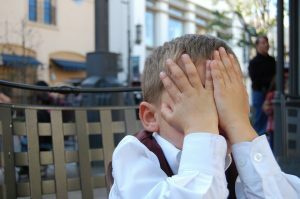 What often precedes learners yelling out ‘I can’t do this’ is frustration. Helping them deal with their frustrations in healthy ways is a core skill related to their social-emotional development and helps with being successful with the given tasks. Encourage students to ask for help from their peers. Some teachers employ a “three before me” policy in their classrooms for when students get stuck, where students must ask three of their fellow classmates for assistance before turning to the teacher. You may have to remind students daily to ask one of their classmates for help, however, as they often have been socialized via school procedures to turn to adults with their problems. Emphasize the processes of learning rather than its product. Reframe mistakes and difficulties as opportunities where the real learning happens. After all, that’s why we go to school in the first place–to learn! Avoid the urge to rescue them. Educators, by nature, are helpers. The tendency is for them to rescue learners from the stress and frustration of reaching seemingly insurmountable challenges. But if educators do rescue them, then they are taking away learning opportunities and the possibility of the student achieving success on her own. Build reflection into the learning process, and help learners accept an ‘it’s okay’ when a task really is too hard. But only as a last resort when all else fails! Above all, encourage them to always try their hardest in the classroom.